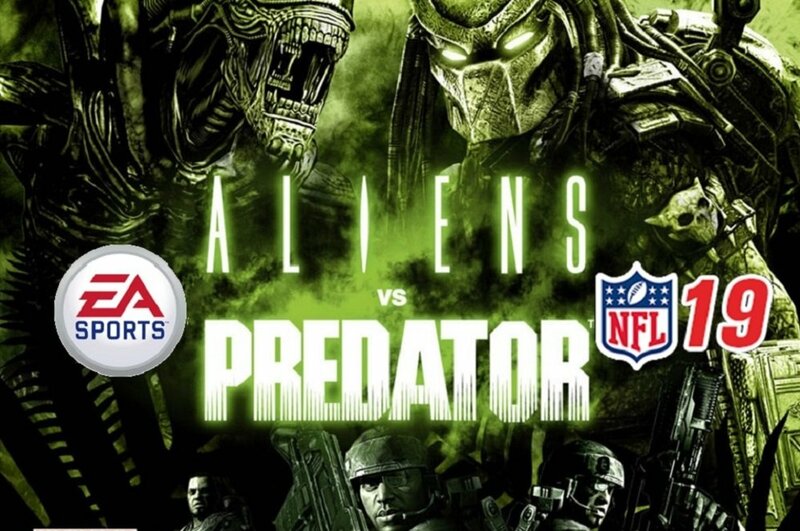 The xenomorphs and the Predator race have been at war for quite some time, now. Centuries, it seems. They've duked it out in comics, video games, cinema, action figures, and the imaginations of nerds everywhere. But man, all that fighting sure it tiresome. As it turns out, conventional warfare between the two species just wasn't getting the job done. For every Predator that takes out a couple of xenos with a well-placed shoulder cannon, five more pop out of some C-level actor's chest just trying to keep his SAG insurance going another month. War is the ultimate war of attrition. These two cosmic nuisances require far more than punches and rockets and acid blood to settle their differences. What they need is the ultimate test of skill, grit, determination, and will. They need American football.